ExtortionLetterInfo.com (ELI) is dedicated to reporting information and providing commentary on Copyright Infringement Settlement Demand Letters. ELI is a privately-owned and privately-managed website. Every effort is made to provide factual information and professional opinions regarding the practice of issuing outrageous, disproportionate Copyright Infringement Settlement Demand Letters that we consider “legalized extortion”. As Lead Contributors of this website, we believe what they are doing is technically legal but ethically and morally questionable. Extortion Letters bully and prey upon the legal ignorance of letter recipients. This website attempts to discover, report, and comment on the facts in a factual and orderly way. This website also provides assistance in defending unaware target of this Letter. There are two sides to every story and disagreement. Recipients of extortion letters know the artists side. This website will assemble the stories and legal arguments of “the other side”. We trust this website will be both helpful and beneficial to you. 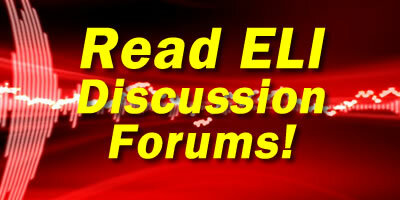 Visit the ELI Discussion Forums! Find out more about what Matthew Chan, Oscar Michelen, the ELI Defense Team and others are talking about! Why is This Being Called “Legalized Extortion” and an “Extortion Letter Scheme”? This is a descriptive and colloquial term for deliberate, malicious, bullying, and presumptuous letter campaign that engages in what is tantamount to legalized extortion. The letter in its entirety is both well-worded and well-constructed. It has been clearly been well thought out. Because of the deliberate construction and planning that goes into this letter campaign, it qualifies as a Scheme. Extortion letters automatically presumes guilt of the recipient. The letter recipient is expected to provide proof of innocence. In effect, the letter recipient is presumed guilty until proven innocent. Although the letter does provide for the possibility that the letter recipient was unaware and unintended of the alleged infringement, extortion letters take a heavy-handed and unforgiving approach of stating that they are responsible for all alleged “damages and liability”. Extortion letters automatically presume the issuer has been “damaged” whether or not that is actually true or proven. Because this scheme relies heavily on the letter recipients ignorance of due legal process and people’s inherent fear of legal conflict as a result of that ignorance, it is considered by many as legalized extortion. Given the overall assessment of the situation, the term “legalized extortion” was coined to better describe these aggressive letter campaigns. Find out more about what Matthew Chan, Oscar Michelen, and many others have to say! * Special thanks to Robert Krausankas (of Copyright-Trolls.com and Web Design of Palm Beach, Inc.) for donating web hosting services to the ELI cause.